Oh what lovely whisperings have been bestowed upon us. "If Carlsberg did Holiday Apartments! We have just returned from a fantastic week with our children aged 11 & 7 in this superb holiday rental apartment in Nice. Ideal location and right in the heart of the town; within easy walking distance to the Old Town, Place Masséna, the beach and the train station. The vacantion rental apartment is exactly as it appears in the description, beautiful decor and great facilities." "The property was clean & had everything we could need". We have just returned from a fabulous trip to Nice. We stayed for 5 nights in this wonderful Nice holiday rental apartment which is a mere dander to the port and the old town. It was perfect. The vacation rental apartment is exactly as it looks in the photos; clean, fresh and modern with everything you would need to have enjoyable holiday. The property manager (Dana) could not have been more helpful leading up to and during our stay. My husband and I are just trying to workout when we can go back to this wonderful city! "MUCH better option for us". We spent a a few days in the South of France, this short term holiday rental apartment was excellent, very well appointed, with great facilities, the linen etc was of a very high quality and the A/C was fantastic as our stay was during a heatwave. Sunlight Properties arranged taxi transfers from the station which was worthwhile as the drivers spoke English and gave us useful tips on getting around. We had big bags and the Nice holiday rental has a lift which we needed. "I was amazed by the size, décor and location". Stayed here for the first time with friends and can say with certainty that I would not even look to any other location if I find myself in Nice again. I was amazed by the size, décor and location of the holiday rental apartment. Not only has it been recently renovated and features free Wi-Fi, flat screen TV and DVD player, but also it has an amazing open terrace overlooking the sea and the beach. Service from Dana was just an added bonus as she kindly walked us around the premises and gave us pointers on the location. Overall, a great experience." "The terrace is the clincher". Spacious, clean holiday rental apartment in the perfect location. Most likely the best short-term holiday rental in Nice! We were greeted by Dana with a smile and she was excited to share the details of the vacation rental apartment as well as provide information about what to see and do in the area. The rental property was clean and spacious. The location of the holiday rental apartment in Nice was within walking distance for the beach, Place Masséna, restaurants, old town and shopping. Dana was accessible by phone throughout our time in Nice. Oustanding service! Upon checkout, Ivan was timely and very friendly, handling checkout professionally and efficiently. We were travelling with 4 adults and 2 children and the apartment had more than we needed. We hope to stay here again in the future. "Such a positive experience". First of all, all of the communications and the payment process were easy and were handled in a very friendly and efficient manner. Dana was our contact person who met us at the holiday rental apartment. She was perfect. Also, the Perle apartment was perfect. It was spacious and easily handled six adults. The kitchen was quite functional. Having a washer and dryer was a bonus. The location was terrific and we found Nice to be very enjoyable. We will definitely return and we will stay at Perle again. We took many tours (Eze, Monaco, Annot, two boat trips, Cannes, St. Paul de Vence, Entrenoux, the Negresco, etc.) and they all worked out very well. "Outstanding service!". Our host from Sunlight Property arranged transfers from the airport in Nice and was super friendly. The 3 bedroom 3 bath Nice holiday rental apartment with elevator was lovely and recently renovated beautifully. The kitchen is very well equipped and dining room seats a group of 6 comfortably. The antiques and décor are even more wonderful than the pictures show. We hired a drivers from Friends of France, that the hosts linked us with from the original airport pick up, and were very happy and all spoke perfect English. The drivers took our group of 6 on private tours every day and were the best possible arrangement for the money. We would love to come back and stay here again. This home has free WiFi that worked perfectly. 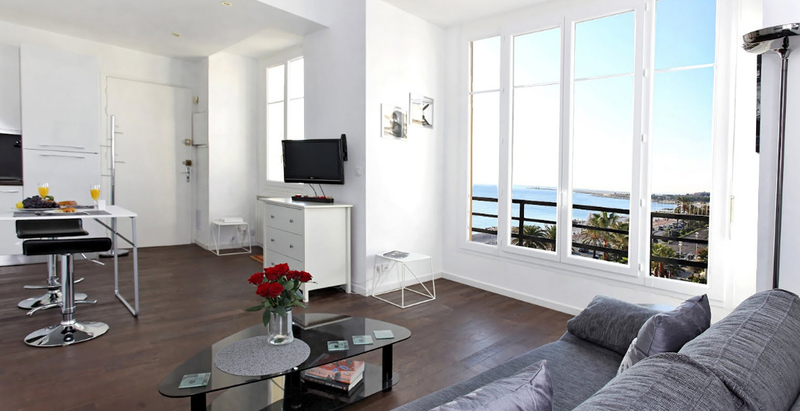 One of the best holiday rental apartments in Nice, for sure. "The décor is lovely and the location can't be beat. Very clean and tidy, it is in a quiet interior location in the building (no views, but I could see the streets being noisy at night anyway). The flower market is just steps away from this short term holiday rental apartment and has unlimited options for dining and FRESH produce/food. The beach is only a couple of blocks away as well. 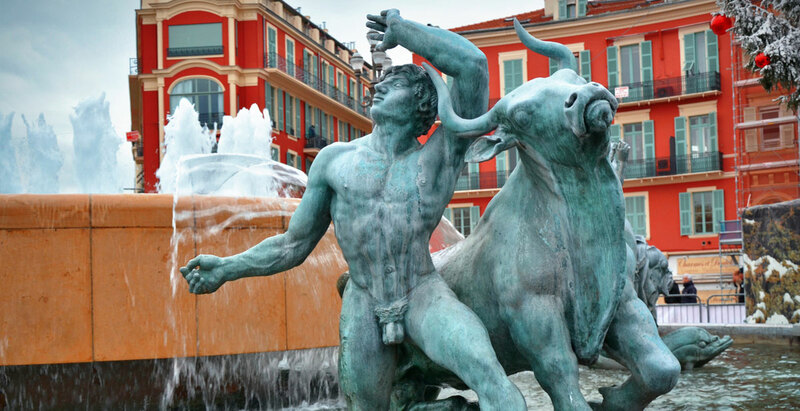 A great stay in Nice!" "This holiday rental villa is one of a kind - hard to top!". Perfect Location, no traffic, insanely cool view, privacy and tranquility. We were wondering why there is no TV - now we know ..... there is no time (to waste) to use a TV - best cinema imaginable is out there in the garden. It's almost unreal, the pool, the vegetation, the view over the valley to the sea - breathtaking - ...and you have that for breakfast, lunch and dinner.... The place is huge and top modern - all high tech, new and clean. It's all there - and works perfectly ....and the host ? ...a delight ! Dana is super professional, extremely friendly and multilingual - it's been a pleasure. We usually don't go to the same place twice (no matter how nice) because it cant get better - and we want to see other places - but this time we will definitely consider staying with Sunlight Properties again. "It exceeded all our expectations. Beats the heck out of staying in a hotel. One night we took our dinner to go and we ate out in the balcony. That was very relaxing. 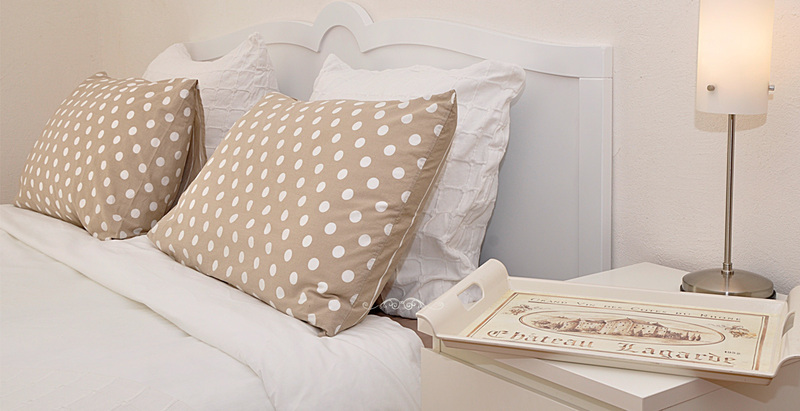 Everything was spotless (very clean) and we love the decor." The overall experience from start to finish was exceptional and exceeded both our expectations. The booking procedure was seamless with prompt communication verifying every step of the process. Your service when we arrived was flawless and Sarah and I were blown away by your enthusiasm and helpfulness. The apartment booklet you had provided us was incredibly useful and totally unexpected. Your offer of being on call to assist us with any queries was above and beyond any expectations we had. The perfect Nice holiday rental experience! It was very clean, and that is the main thing we look for in a place - hotel or holiday rental apartment - while on vacation on the French Riviera. Everything else is secondary. However, everything else met, if not exceeded our expectations. 10/10 would recommend. We were met on arrival by very friendly and helpful staff who were also there on departure; and were flexible in letting us leave our cases in the holiday rental apartment after checking out. This is a rare service in the industry! We were very pleased and delighted to have picked that holiday rental company. We were greeted with a smile and the agent (Dana) was excited to share the details of the holiday rental apartment, as well as provide information about what to see and do in the area. Upon checkout, they were timely and very friendly, handling checkout professionally and efficiently. The agent was extremely helpful from arranging the trip to arriving at the short-term holiday rental apartment: taxis were booked for us, we were greeted at the Nice vacation rental apartment to show us where everything was and she was on hand if we needed her during our stay. We didn't have to call her, but found comfort in knowing that we could if we needed to. I found dealing with Sunlight very easy. You were always efficient and replied to my emails promptly. We would gladly stay at this luxury holiday rental apartment again and would happily use Sunlight properties in the future. Service from the property managers was very good, including the provision of very detailed instructions for arrival and detailed info about the flat and living in Nice. The cash security deposit was returned on checkout without any fuss. An excellent holiday rental experience overall. Just thought I would drop you a line to confirm how much we enjoyed our recent stay in the holiday rental apartment. My wife and I were most impressed with the service we received from both of your secret agents, especially 001! Hope to use your services again in the future. A Holiday Home is neither a ‘Holiday’ nor a ‘Home’ if it involves that other word starting with ‘H’ – ‘Headaches’! Sunlight Properties manages to deal with everything quickly and efficiently which means that, we as owners, rarely have anything to do except enjoy our ‘home away from home’ and know that those holidaymakers renting it out are well taken care of. Dana and Malena navigate their way around the local bureaucracy, syndics and all the other aspects of French property ownership effortlessly. Full marks to Sunlight! Sunlight Properties, it is above all, about feeling at home. Being welcomed by Malena and Dana, listened, cared for, is very important; and Sunlight Properties knows that. They have no other purpose than to make us happy. Happy to be well fallen, happy to finally find serious people who take care of our property, happy to have a corner of paradise on the Cote d'Azur! Sunlight Properties respects and understands the requirements of the guest. Matisse, the Nice holiday rental apartment that I rent out through Sunlight Properties is devoted to color. The painter who, in my view, best captures the colors of the Côte. After two years, I think my little apartment still has that charm, but only because of the scrupulous work of my agent Dana, can it conquer the spirit of the Old Town from the South of France and offer a true holiday to all who visit. With Malena and Dana in tow, we no longer have to think or worry about anything, they always think of everything. We just need to trust them and everything will be perfect! How lucky we are to have met! Since we bought our apartment in Nice a few years ago from Sunlight’s partner organization, Chez Riviera, we have been well looked after by all the professionals who work there. Sunlight Properties takes particular pride in style and decor and offers very useful advice to ensure the flat looks it’s best. Of particular importance is their prompt response to any issues concerning repair or customer requests. With Sunlight Properties, we can relax knowing our lovely place in Les Musiciens is in good hands and that it will be in perfect shape when we come to Nice for family vacations. As one of the Managers for Sunlight Properties I am very happy to get the chance to work quite independantly, at my own rhythm, and yet with the support of a great team. I love being a part of Sunlight’s multicultural atmosphere. Great team atmosphere, flexible hours, and never boring, what else could a girl want? Many would say that working in an early stage company can be risky. But, for me working with Sunlight Properties means the excitement of knowing that I’m being part of a new business. I feel extremely challenged and blessed to have the chance of being part of the placement of new processes and procedures. A brand new business, a brand new approach to the holiday lettings market and at the end an all new concept and vision about how to create something that will have an impact on people’s lives, a business made to entertain and please people. A business to make their holidays unforgettable. That is really something! It has been a learning process and here more than anywhere, I've been learning that the results matter and shape the company. Likewise being able to work with a small team, and even more remotely, has reminded me the importance of planning, organization and how communication is the base core for a strong work team. I’m really happy to be part of Sunlight Properties Team. I like working for Sunlight Properties because of the friendly atmosphere within the holiday rental company. There is clear communication channels throughout, which makes working here easy! Of course, my fellow employees are all pleasant, friendly, and easy to talk to. The work can be challenging sometimes, but I like a challenge! Also, its nice to be part of a system which provides people with the optimum holiday experience! 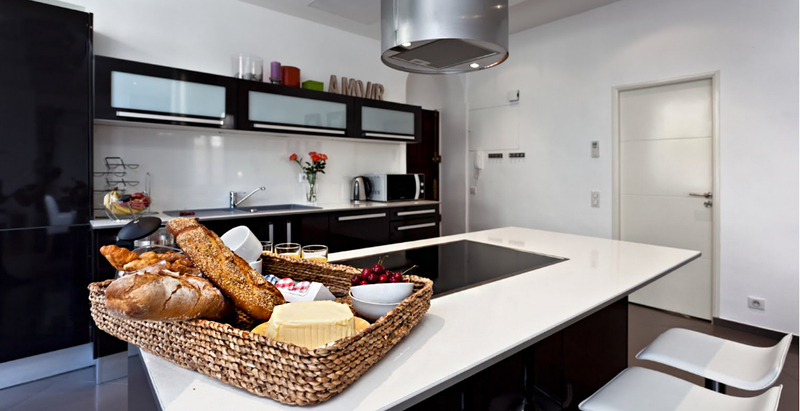 We are unmatched in the sector of holiday rentals in Nice. We raise the bar, and will continue to, as we grow. We are the ONLY full-service, eco-friendly property management company in the French Riviera who offer a stunning portfolio of beautiful properties for short-term holiday rentals, vacation apartments and villas in Nice and the South of France. Add to that a detailed, simple to use site with an unprecedented loyalty program. You’re in holiday rental heaven… Let the Sunlight shine! Full Service: Our customer service is incomparable. All guests enjoy a complimentary chauffeured car from Nice airport directly to your holiday rental apartment in Nice. We have a plethora of concierge services including: eco dry cleaning service, short term gym and pool memberships, grocery delivery, in-home cooking classes, a personal chef for a night, a masseuse, wine & cheese tasting, yoga.... All in the privacy of your holiday rental apartment or villa in Nice and South of France! There are pre-booking packages for those who want fresh flowers, champagne, chocolates and robes on arrival, but otherwise want to be left to their own devices. Let us book a table or taxi for you. We promise you will never be lost in translation, when you’re with us. ECO Commitment: Creating a culture that induces healthy, responsible living. All our cleaning products are natural. Yes, that’s what we said. We use simple everyday household products, vinegar, baking soda, etc. We are committed to being as paperless as possible by using online guest books and paperless receipts where possible. We use energy saving and LED lighting in all our holiday rental apartments and villas. We buy locally when possible, and, of course, organic, eco or trade friendly products. We use recycled paper and plastic (garbage bags) products that easily disintegrate in landfills. We use 100% natural soaps and organic wines to stock our holiday rental apartments. All our partners have been carefully chosen for their green standards. Unique, beautiful, clean and private. Each with their own personality, loved infinitely more than any cookie-cutter hotel room could ever have possibly been. No hotel, or other holiday rental site can compare to our quality standards. We manage all our Sunlight labeled properties and we regularly verify all vacation rental villas managed by regular in-house staff, personally. We believe in quality over quantity. So, don’t be surprised if our holiday rental properties can be hard to book! Our advice? Book early, the early bird always gets the worm. Search, book, and take your holiday. Confirmation arrives in your inbox with a personal contact number (just for you!). 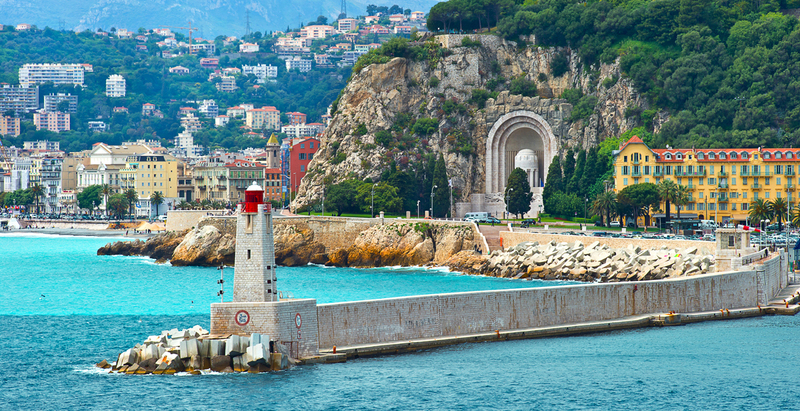 A chauffeured car will pick you up at the Nice, Cote d' Azur airport. A Sunlight Agent dedicated to you, will personally show you the details of your holiday rental apartment in Nice or villa in the South of France, until you feel perfectly comfortable and are feeling right at home. You will have your own English speaking 24-7 emergency hotline in case of any serious emergencies. It is available to you by phone in every apartment and villa or by your personal cellphone. Loyalty: It will get you everywhere in life. The more often you stay with us, leave a comment, rate our services, like or share any of our properties, the more benefits you get. Benefits come in points and can be redeemed for discounts or special packages of your choice. We happily redeem loyalty points you may have earned from any other vacation or holiday rental apartment companies. Yes, you read that right. If this is your first time booking with us, we are eager to say thank you and show our loyalty to you first! Just take a screen shot and presto, your points will be added to our loyalty system. It’s like you never missed a step. We do holiday apartment rentals. Simple. We do everything around holiday homes and their short-term rentals in order to make sure we have and maintain the best. HARDER. Definitely, harder! While you start to browse and muse over your favorite holiday rental apartments, we have a team on hand 7 days a week that are eagerly awaiting to hang out with you, by email or phone, to discuss further your holiday property options. Once you decide, you can book immediately, directly, online by credit card. Or if you prefer by bank transfer! Now that the hard part is done, leave the rest to us! We now send you an email where you get to tell us all the boring, yet essential details of your arrival. Flight numbers, time, departure city, and any extra personal details you think we should know. In the same email as above your own personal Double-O private agent is introduced to you with email and their personal phone number. They now take precious care of you from here making sure every detail of your holiday is perfect: before, during and after. Now what? Fly out here!! Once here, guess what?! Someone will be waiting for you at the airport or train station, take your bags, and take you to your apartment. NO FOREGN LANGUAGE MURMURINGS while asking for a map or bus stop PHEW! Our friendly driver will call your personal double-O agent for you and let them know you are on time and on your way! The only thing left for you to do? 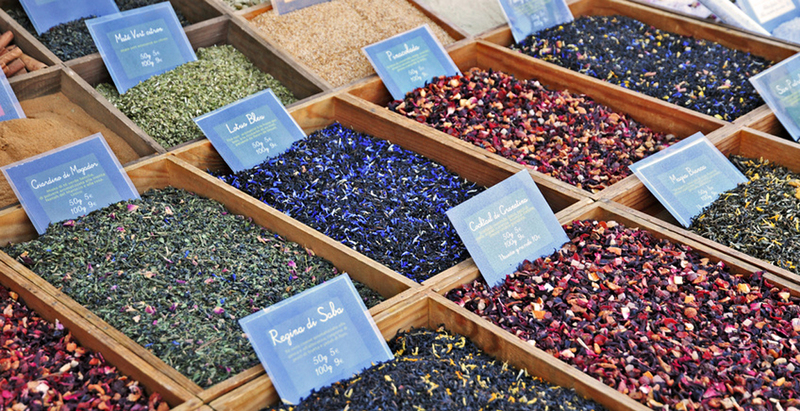 Decide what your first beverage will on your well-deserved holiday on the French Riviera! A hot coffee or freshly brewed tea to chase the jetlag away? Shall it be a fresh glass of cold water before heading off to the beach? Or will it be a glass of wine to start off your holiday just right? That’s about the only decision we’ll ask you to make. It was stressful enough to get out here! Nothing left to do but RELAX.